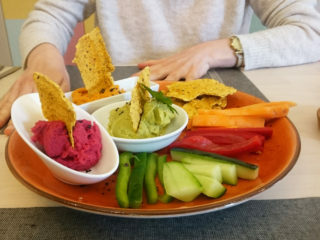 There is an outdated perception among some, that Tenerife is just a destination you head to for a budget getaway of sun, sand and sea. Of course if you are looking for a cheap and cheerful vacation, then it is certainly possible here as there are many great value hotels, resorts and apartments, plus of course you can spend a week by the pool or relaxing on the beach, but what many don’t realise, is that Tenerife is so much more than this! 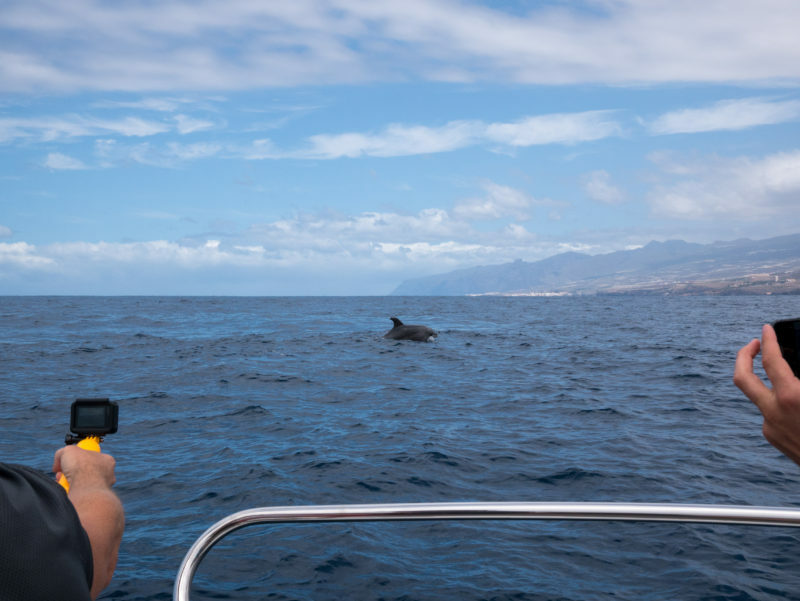 One particular feature, among many of the incredible things to discover in Tenerife that surprises people, is what a great location it is to see whales and dolphins in the wild! In fact, the waters around the Canary Islands are one of the best locations in the world to witness these incredible creatures in their natural habitat, where they most definitely belong. Keeping these animals in captivity is generally very cruel and hopefully, this practice will be ended in the not too distant future. 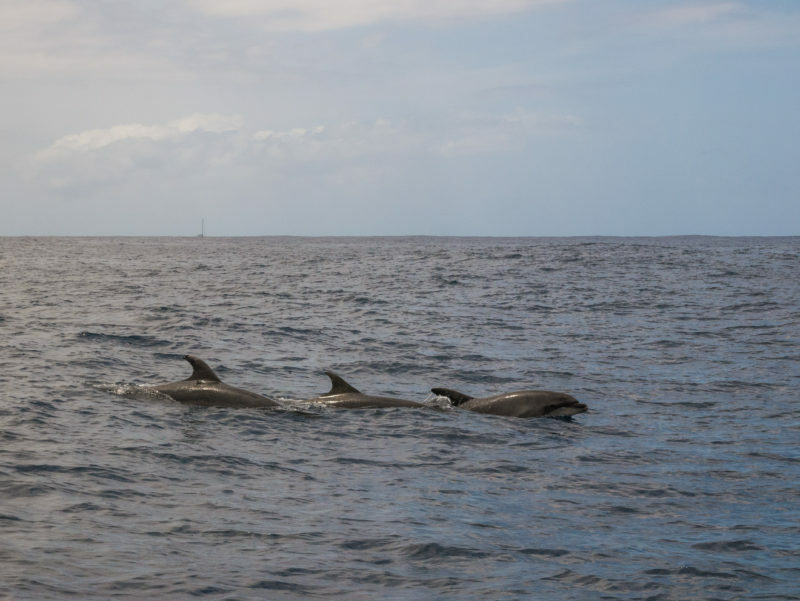 Instead of going to see them in tanks, here in Tenerife you can take a boat trip and see these beautiful creatures enjoying life as it should be, wild and free! 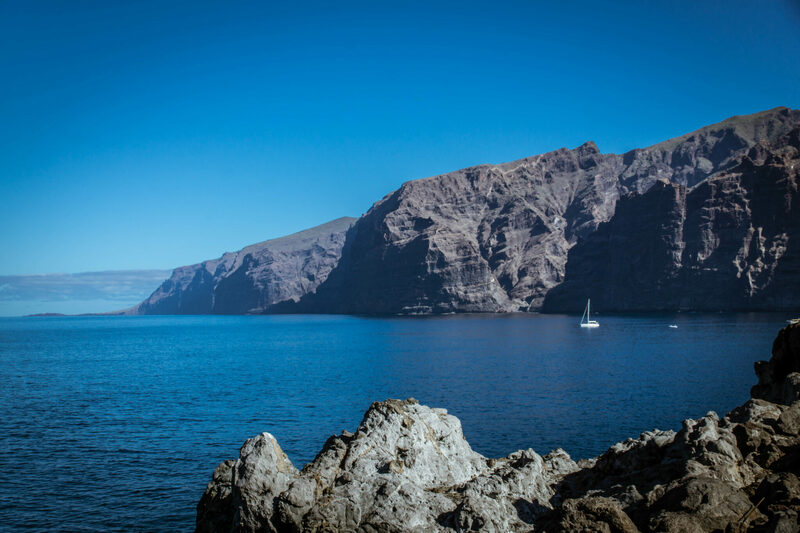 While there are a number of different companies that offer boat trips from various harbours around Tenerife, one that we most certainly recommend is Blue Jack Sail. This is a family run business that offers luxurious trips abroad either a stunning sailing yacht or their luxurious motor boat. owns and runs the company with his partner Monica. 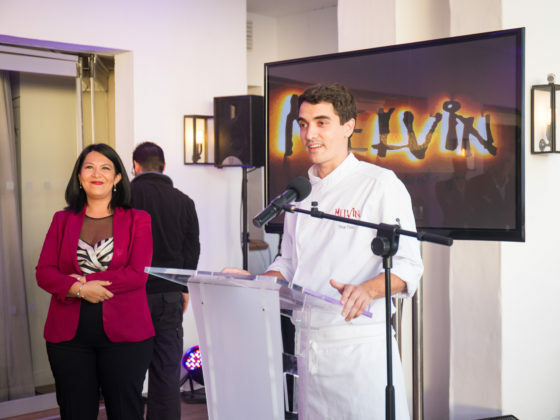 Their ethos is very much centred around providing a more personalised trip with the focus on providing the best possible experience for their passengers. The boat certainly has a lot of power and it raced through the waves at certain moments, but Jesús always steered the boat with control and the safety of all of us in mind at all times. As well as this he made sure we got the best possible views of whales and dolphins. We got great glimpses of pilot whales surfacing near to the boat and absolutely incredible views of many different pods of dolphins. At times they were literally racing in front of the boat right beneath our feet! It is so obvious when you see these animals in the wild, how much they enjoy being free in their natural habitat. The whales swim peacefully through the ocean, minding their own business, and the dolphins race about leaping in and out of the water. They seem genuinely curious about humans and the boats as they followed us around and chased alongside and raced in front, putting on an awesome show with no need to be forced to perform unnatural tricks. Following these awesome views, we then headed back towards the coast, towards the tiny El Puertito. This picture perfect typical Canarian village is located between Playa Paraiso and Costa Adeje and provided a perfect backdrop for a swim after the captain dropped anchor. While the girls took the opportunity to top up their tans on the deck, the guys took turns jumping in and showing off, by braving the slightly chilly water. Following the swim, we were provided with delicious fresh fruit (strawberries and pineapple) and drinks including a chilled bottle of cava. This was the icing on the cake of a fantastic trip with Blue Jack Sail. While at the start conditions had been unusually cloudy, by the time we had our swim and were then lounging back on the deck eating fruit and sipping cava the sun was shining gloriously. The trip seemed to have raced by as we had all been having such fun, but it was then time to head back to Puerto Colón. The anchor was raised, the engines powered up and off we went. As the boat headed along back to base, we sat out in the sunshine, with the wind in our hair taking in the amazing views of the Tenerife coastline, such as the beautiful town of La Caleta. This was certainly a trip to remember with a company that really puts its clients first, and are clearly passionate about providing the best possible service. We’ve been invited back on the boat in the future and will certainly be taking them up on that offer! Your own Private Boat is not as expensive as you think! Just an awesome day out …one we highly recommend! You can book directly with Blue Jack Sail! 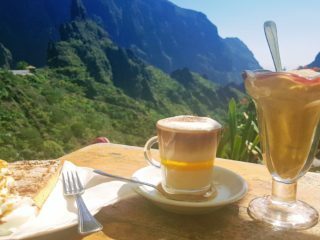 A big shout out to Kate … The Italian Chica for making this video for us while staying at the @Jardin Tropical Hotel! If you do go please let us know how you enjoyed it. Thanks to Jesús and Monica for sponsoring this excursion which was an absolutely brilliant experience. To find out more about their trips, head to their website – www.bluejacksail.com/ and follow them via Facebook. Around Tenerife, there is an incredible variety of different places to see and discover, new things to try such as paragliding, helicopter flights, incredible trekking adventures, and many excellent upmarket hotels and resorts. 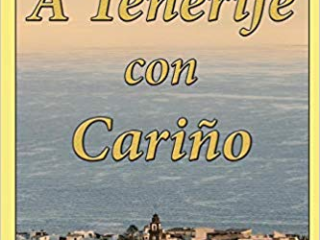 In fact the whole profile of Tenerife (and the Canary Islands in general) have been significantly raised in the past decade, with increasing numbers of more discerning visitors arriving on these beautiful shores. This is a trend that we envision will continue long into the foreseeable future. While there should always be a place for families and others travelling here on a budget, this should not dominate the whole of the local economy, as this doesn’t benefit the island or those living here. 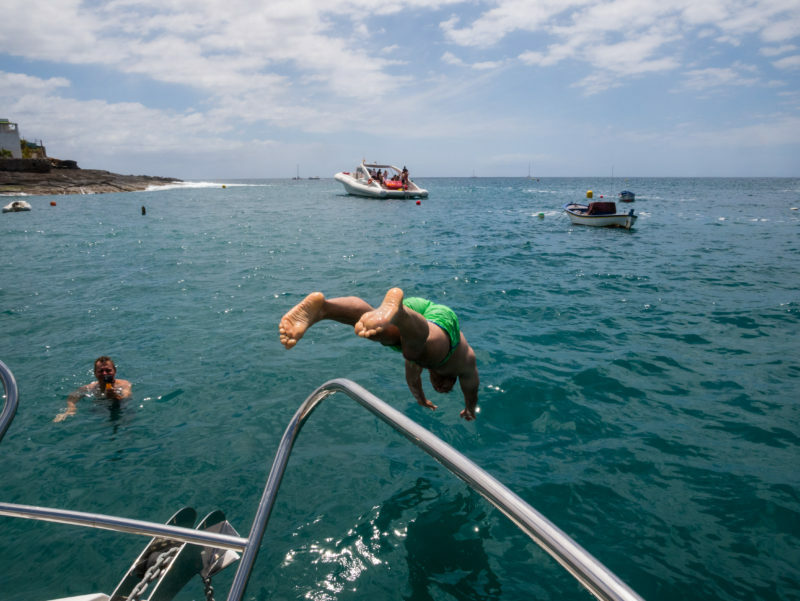 We hope more people will take advantage of the amazing experiences such as a luxury boat trip with Blue Jack Sail and truly see the best of what Tenerife has to offer!